'Command-And-Control' Is Here: "It's Neither Durable Nor Stable"
Like it or not, central banks are now the most influential, global financial market participants. Sovereign rates and risk are now only rarely a function of market forces. Central banks have asserted this influence in the name of moderating business cycles and associated financial market volatility. How could such a paternalistic and noble desire for business cycle moderation be misguided? Because the road to perdition is paved with good intentions. 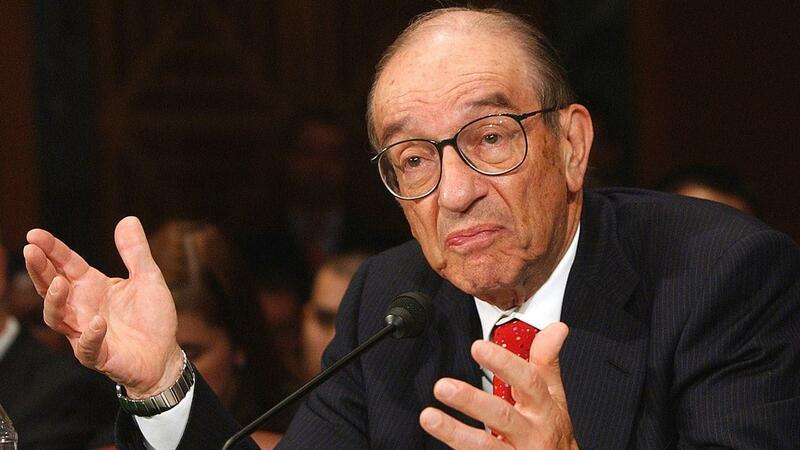 The Great Moderation – a term oft cited before 2008 but little referenced since – was attributed to Fed maestro, Alan Greenspan. Unfortunately, had he still been chairman, his encore would have been the catastrophic meltdown in global financial markets and real economic performance. This discordant meltdown necessitated the use of ZIRP (zero interest rate policy) and QE (quantitative easing). Since then, the move off the zero-interest rate bound in late-2016 marked the end of an almost 40-year secular trend towards lower interest rates. The end of this secular trend confronts the Fed and other developed central banks with a new challenge. With rates still so close to the zero bound and with balance sheets still so swollen, when an economic downturn comes, what tools will be effective? Central banks have slowly begun to run out of assets to credibly buy. This is leading to a new, creeping narrative: MMT (Modern Monetary Theory), a theory that Larry Fink labeled last week as ‘garbage.’ I agree. Because there’s so little central banks can do, they are anxious to prevent another downturn before it starts. As a result, we’ve witnessed the Fed’s most recent dovish pivot, the ECB’s less hawkish tone, and the BoJ’s seeming admission to a QE addiction it has no intention of kicking. For short periods and when used prudently, QE is a useful tool, especially when used to purchase risk-assets that have suffered a liquidity dislocation – such as mortgage-backed securities (MBS) in 2008. It can alleviate this kind of credit crunch by directly targeting and suppressing risk premia. When applied more broadly to suppress risk-free term premia, it may pull forward demand in the real economy. In turn, that ought to help create a virtuous, reinforcing growth cycle. So, why has growth been so modest in this economic cycle and why has inflation globally, even in economies like Brazil, been somewhat absent (at least for now)? It’s simple. Prolonged monetary policy accommodation (and especially QE) has led to the inefficient allocation of resources, especially in developing economies. They have benefited from lower internal rates as capital flowed from low-rate developed economies to higher rate developing ones. This fueled an investment boom that led to overcapacity, especially in basic industries. China, in particular, is suffering from this hangover right now as it attempts to eliminate overcapacity and associated debt. It’s not an easy task, and it has managed to do it only in fits and starts. In turn, global inflation has been largely absent this cycle as overcapacity persists. Ben Bernanke got a big laugh from economists in Atlanta on January 4th. A few minutes after Janet Yellen said, “I don’t think expansions just die of old age,” he replied, “I like to say they get murdered.” Strategists cite this idea ad nauseam to support their bullish views. On its face, it appears that Bernanke believes the business cycle rests firmly in the hands of life-preserving central bankers. If this interpretation is correct, it drips of potentially tragic hubris. Finally, even if he’s correct, what’s the role of market forces in a central bank controlled environment? Let’s consider an extreme scenario: MMT. Consider a world in which all central banks are implementing aggressive QE policies ad infinitum. MMT suggests that as long as a country (and by implication its corporations) issues debt in its own currency, the country should be able to indefinitely fund debt issuance vis-à-vis creation of new reserves. Those reserves are used to purchase the treasury’s issuance. But something just doesn’t feel right about this. What does such a scenario imply for global capital flows and sovereign risk pricing? In such a world, it’s likely that economies would become isolated. What would be the incentive for countries to remain open to foreign capital flows? Rather than a deficit nation relying upon savers in surplus nations to fund deficits, the country’s central bank would simply fund the shortfall with printed currency. Thus, cross border capital flows would atrophy. In fact, global capital flows would be an unwelcome influence on capital costs that central banks would instead want to control. Indeed, the emergence of populist governments globally is also an apparent symptom of globalization’s infringement on sovereignty and the ability of monetary and fiscal policy to control economic outcomes. In an MMT world, a country’s printing press might replace its nuclear weapons as its enemies’ next existential threat. To what lengths would countries go to sabotage each other’s financial systems in an MMT world? As the Fed attempts to normalize, most other developed or large developing central banks continue to stimulate. Indeed, I have argued that the Fed will act slowly to cut interest rates – precisely because it does not want to resemble Europe and Japan. Thus, it will first start by stopping the balance sheet runoff, but ultimately, economic conditions will force it to cut again – most likely in early to mid-2020. Another likely eventuality is that balance sheet engorgement will resume sometime later. The world has become dependent on low interest rates and central bank intervention. The issuance of debt facilitated by fiat rates has pulled forward future demand – perhaps to its ultimate limit – and a misappropriation of capital has ballooned global goods supply. How does a QE all-the-time and all-over-the-world exist in seeming perpetuity? How does risk ‘price’ in capital markets when the cost of capital is constantly set too low? It’s a difficult concept with which to wrestle. In essence, markets are no longer pricing risk; rather, a central command and control mechanism – global central banks – is pricing risk for the markets. I would argue this condition is neither durable nor stable.